Our Circuit Superintendent is Rev. David Campton. David Campton was born and brought up in East Belfast before going to study biology at Edinburgh University. After a short time working in the theatre as an actor and director, he returned to Northern Ireland to train as a Methodist minister. Subsequently he served in Glastry/Portaferry on the Ards Penninsula, Sandy Row & Springfield Road on the Belfast Central Mission Circuit, and most recently in Dundonald Methodist Church in Ballybeen, part of the Knock Circuit. He began his ministry in Belfast South in July 2013 and took up the post of Circuit Superintendent in July 2018. He has worked extensively in the fields of community development and community relations with a number of local and regional organisations, has acted as the Convenor of the Faith and Order Committee of the Methodist Church in Ireland, and as a Religious Advisor to Downtown Radio. 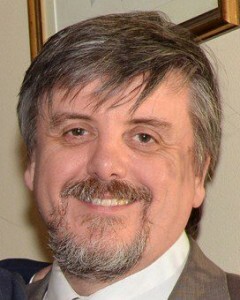 He is a regular contributor to BBC Radio Ulster’s Thought for the Day and to The Seed online worship resources website (http://www.seedresources.com/). He writes a regular blog under the title of Virtual Methodist. He is married to Sally, who works in the voluntary and community sector, and they have 2 sons, Owain and Ciaran.